The kitchen is one of the most hardworking rooms in a home and it’s easy to neglect the design when the space is always abuzz with activity. Rental kitchens are often sterile and somber-looking as if the design was a mere afterthought! The design does not have to be grand but life is too short to live with the ugleh! Those ugleh plastic packaging, I hate these in my kitchen. Turn your frequently used ingredients into pretty room detail by decanting then in decorative containers. Decanting makes such a huge difference in a room and I speak from experience! Having a few store-bought decanters is nice but I prefer using old wine bottles as containers for liquid ingredients such as cooking oil, vinegar, soy sauce, etc. Just use a funnel to transfer the liquid ingredient to another container. For dry ingredients such as spices, salt, sugar, flour, etc., I like to use clear, vintage storage canisters with an airtight lid. Arrange the newly decanted ingredients on your counter or in a cupboard to define the kitchen in a snap! A house without art is not a home! If your kitchen could use a little pop of color, try displaying artworks on key areas of the room. 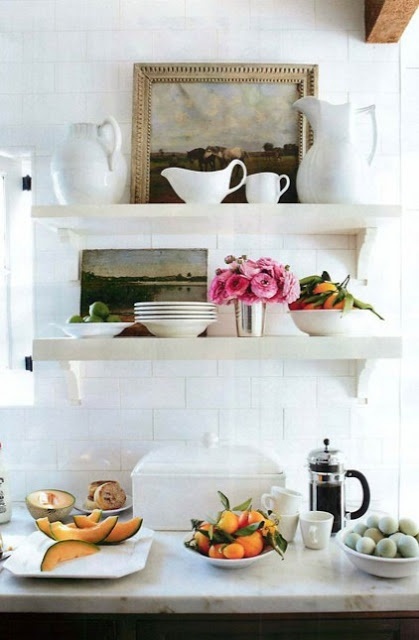 Fruit or botanical paintings add a fun element to the kitchen, refreshing the room by chasing the dreary vibe away. You can hang a trio of artworks on the wall arrange your favorite paintings on a shelf to create a lovely centerpiece. You can also lean the artworks against the wall if you don’t want to leave permanent marks on the wall. Texture is an important design element; it adds character and depth to a room. 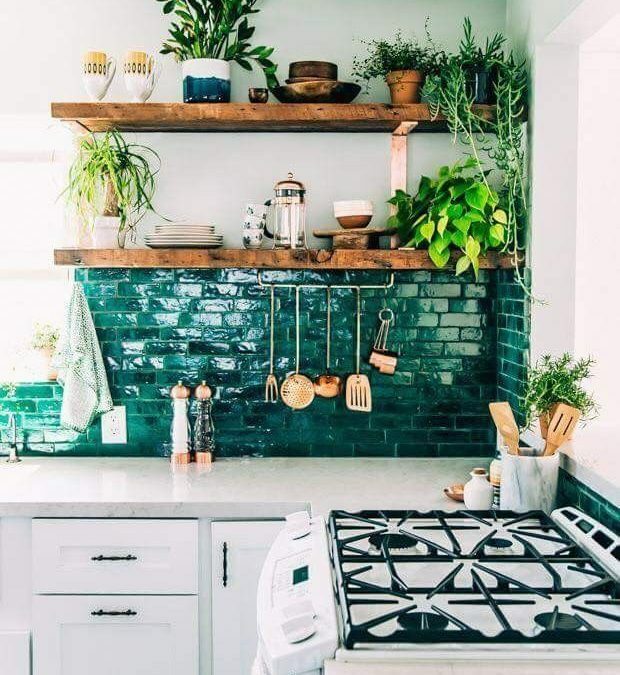 If your kitchen design is less than stellar, adding a couple of houseplants is a fast, easy way to elevate the space. Here are some of the best houseplants to get for a small apartment. Pop a couple of houseplants on a shelf, near the window or hang a pot of climbing vines to refresh a tired, old space. For a bit of fun, I highly recommend transferring the houseplants into decorative planters. You can also get several plant stands (here’s a great tutorial) and set them in a corner so you can put a variety of houseplants on display! If you are way too busy to take care of houseplants, try using faux flowers or faux houseplants. They look like the real thing but require zero maintenance. Traditional kitchen cabinetry adds to a room’s visual weight. The clunky design isn’t helping in terms of making the kitchen appear expansive and airy. Opt for open shelving! 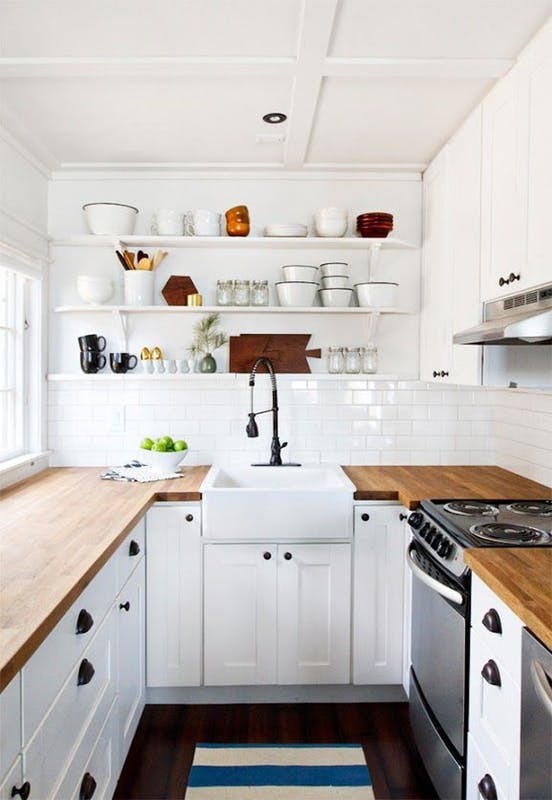 The openness of an exposed shelf makes a small kitchen appear larger than it really is. No need to hire a team of professionals for a customized job! Simply unscrew your cabinet doors and curate the exposed contents for an eye-catching display. 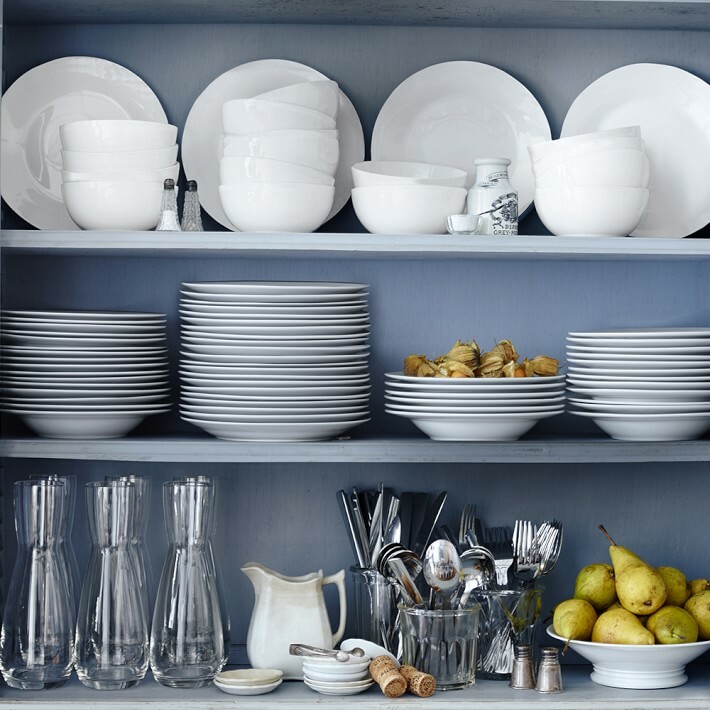 Are your kitchen shelves packed with stacks of tableware? Roll up your sleeves and organize your kitchen shelves, pronto! Put your prettiest dinnerware on display and pack the rest for storage. 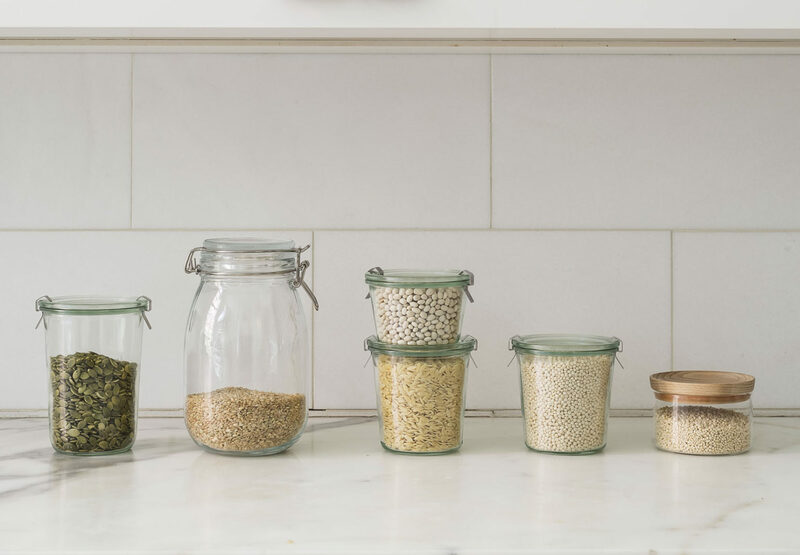 Organizing your kitchen shelves makes a world of difference to the room! If you’re putting your pretty dinnerware on display, choose a shade or a design that complements your color scheme so your new kitchen accent goes well with your existing small apartment design! A dose of color is a welcome addition to a kitchen with a bland small apartment design! Thankfully, there is no need to re-paint the walls, just add a couple of colorful accent to the room. 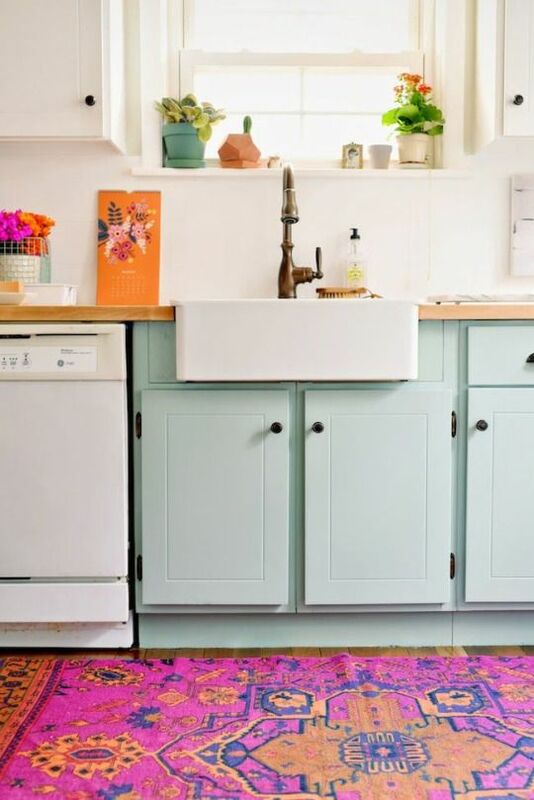 Rugs make a great kitchen accent because they are affordable and they come in an array of colors and designs to choose from! Of course, choose a design or color that complements your existing color scheme. Neutrals are a safe choice but I suggest going for the colorful, graphic kind to give your kitchen an interesting detail. Want to hide that ugleh backsplash? 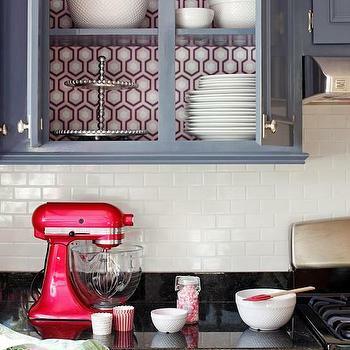 No need to hire someone to change your backsplash, conceal it with removable wallpaper. Removable wallpaper is incredibly rental-friendly. It doesn’t leave a sticky residue on the walls too! Just choose a design that strikes your fancy and dedicate a couple of hours to cover up the offending backsplash. 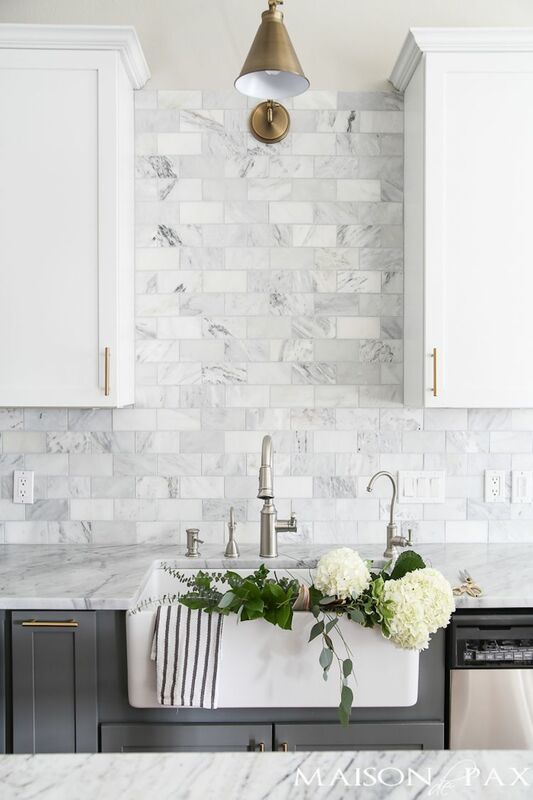 It shouldn’t take too long to cover up that bad backsplash job! If you have a lot of free time on your hands, you can also stick removable wallpaper on the bottom of your kitchen cabinet for a fun decorative detail! 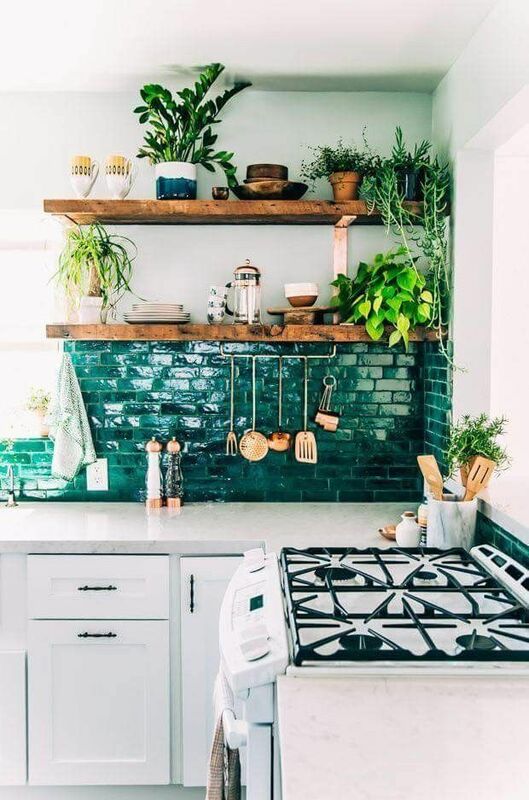 Rusty old hardware will ruin the look of any kitchen. 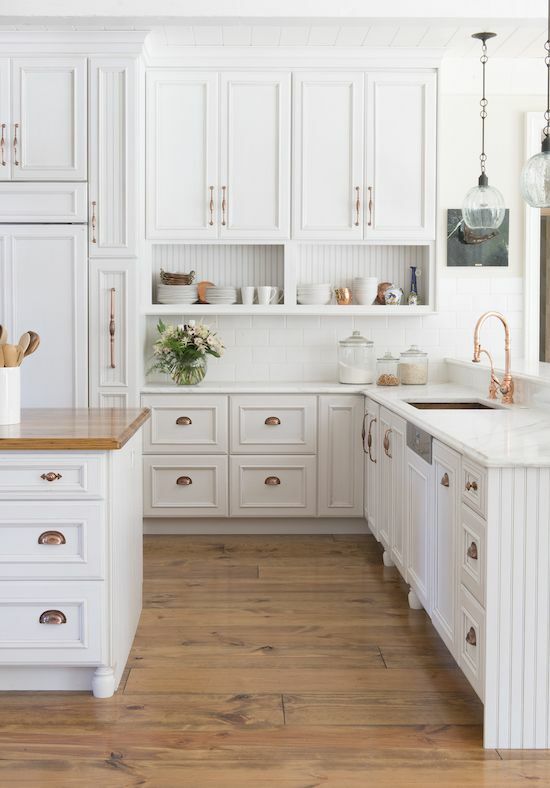 Changing the drawer knobs, cabinet pulls, even the sink fixtures with bright, shiny new ones is a great way to refresh a tired-looking kitchen. Keep all the old, rusty hardware in storage if your security deposit is on the line. Just re-install it when it’s time to move out. It’s possible to turn a plain cupboard into a stylish room accent. Stick wrapping paper to the backs of the cupboard and voila, you have a refreshed cupboard! I highly suggest choosing a fun design or wrapping paper in a contrasting shade to make your cupboard stand out even more. Updating the cupboard won’t take long to complete. Just dedicate a weekend to it. The best part? The project gives you the opportunity to organize your messy cupboard. 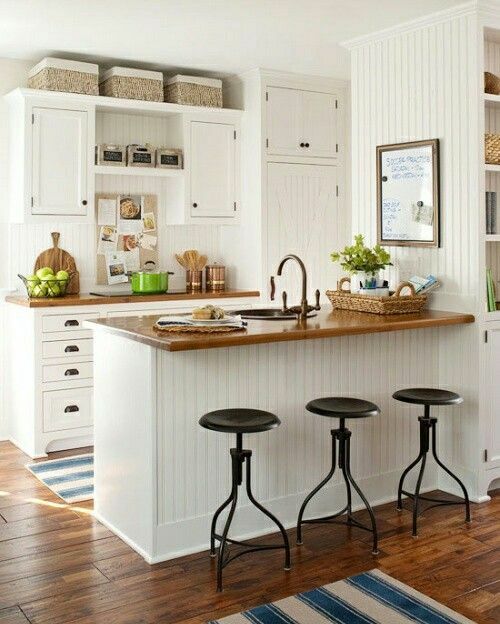 Decorate that slice of space above the kitchen cabinet with pretty bins and baskets! Bins and baskets may not be the best storage solutions for small spaces but setting them high on a shelf means they won’t litter your counter space. Use the baskets to store kitchen items that don’t get a lot of use so they are organized and out of sight.